Jamie's Italian on Royal Caribbean features the culinary creations of famed celebrity chef, Jamie Oliver, and it has quickly become a highly-rated specialty restaurant by many Royal Caribbean fans. 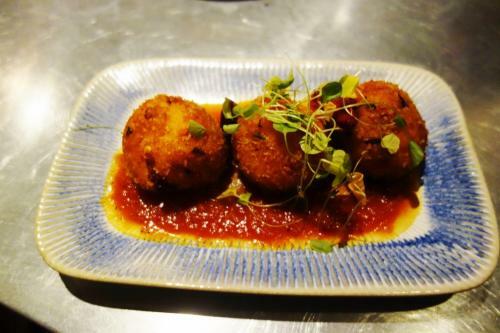 Here is our list of five things we think you will love about Jamie's Italian too. 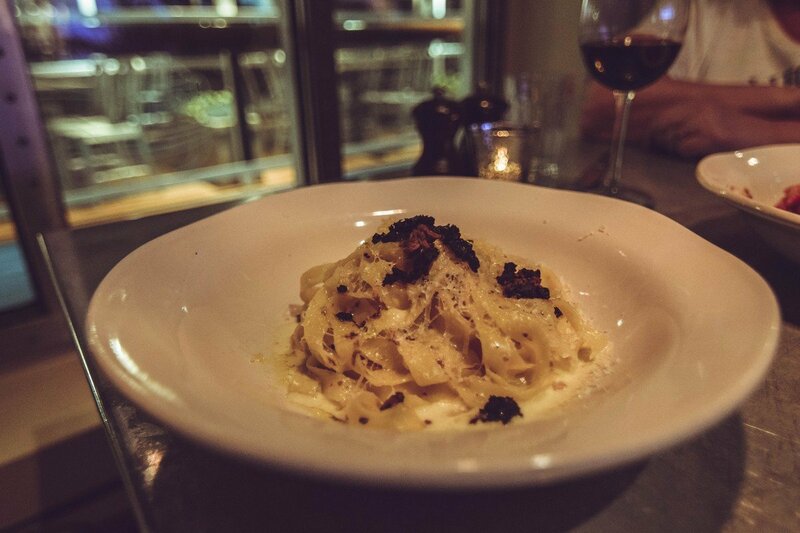 Everyday, the chefs at Jamie's Italian make their pasta fresh, and that means you will enjoy some of the best tasting pasta available. 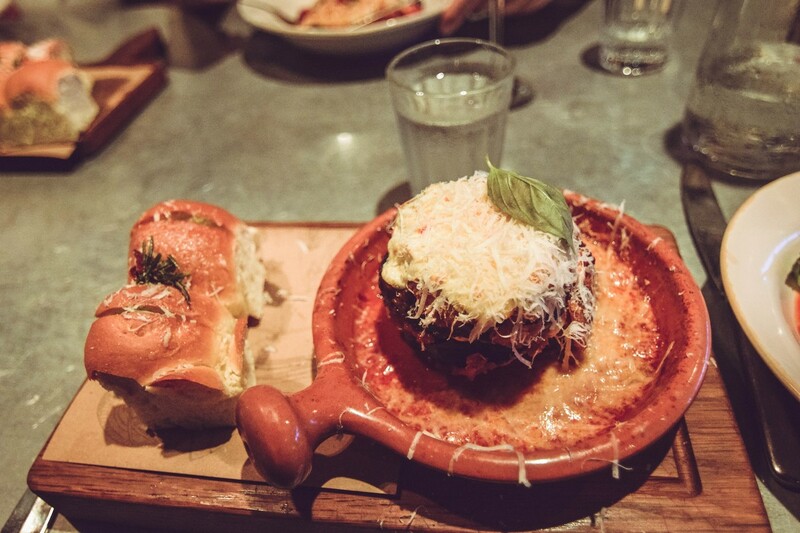 Jamie Oliver's vision for his restaurants has always been centered around good and honest food, which we find with the pasta (and all the dishes) at Jamie's Italian. Jamie's Italian makes nine types of pasta, from lasagna to tagliatelle, spaghetti, linguine and more. This means whichever pasta dish you order is sure to please. Garlic bread is a staple of many Italian restaurants, but the garlic bread at Jamie's Italian is a notch above all others. 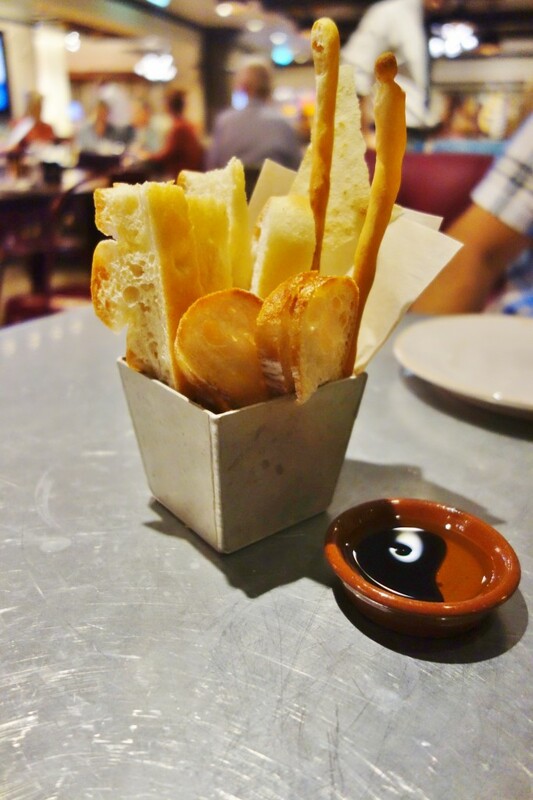 The garlic bread is great for sharing with everyone at the table, and is freshly baked twisted garlic bread. They may resemble a cinnamon roll, but they pack that great garlicky taste we love to have accompany our food. Bonus points for saving some to dip in your leftover pasta sauce later in the meal! The venues for Jamie's Italian feature indoor and outdoor seating. When given the chance, we love the opportunity to step outside and enjoy the cool breeze with our meal. On Oasis class ships, Jamie's Italian features tables outside the restaurant in the middle of Central Park. Arguably one of the most beautiful spots ever created by Royal Caribbean, having Central Park as a backdrop for your meal is phenomenal. While Quantum Class ships may lack Central Park, there is a lovely patio area outside of Jamie's Italian that offers a great view of the ocean. There are many adjectives to describe how good something is, but when the word "epic" is thrown around, it carries with it some extra "oomph". On the dessert menu, guests will find an epic homemade brownie. What makes it epic? 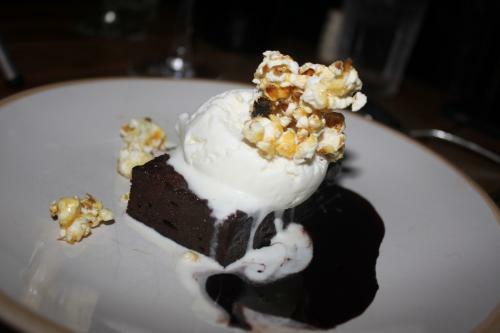 There's a freshly baked warm fudgy brownie with vanilla ice cream and caramelized amartetti popcorn on top. Yup, epic. What do you love about Jamie's Italian? 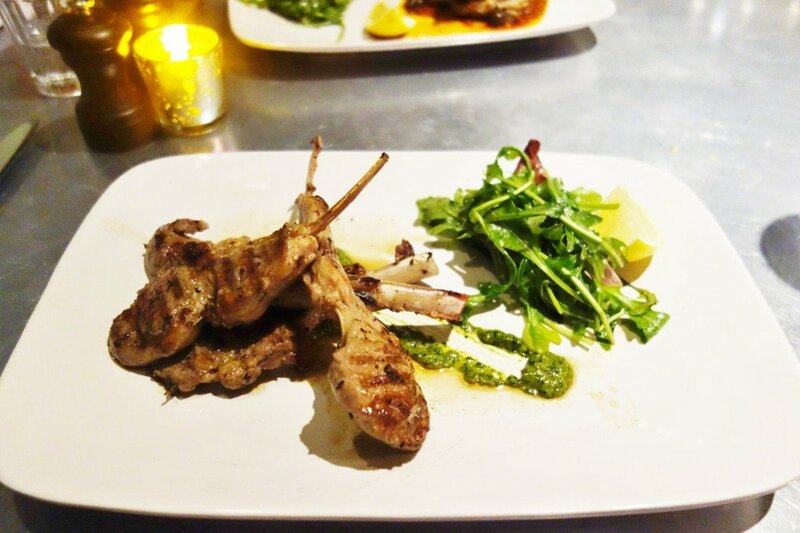 Did we miss one of your favorite things about Jamie's Italian? Or are you salivating at our list? Share your ideas, suggestions and thoughts in the comments below! 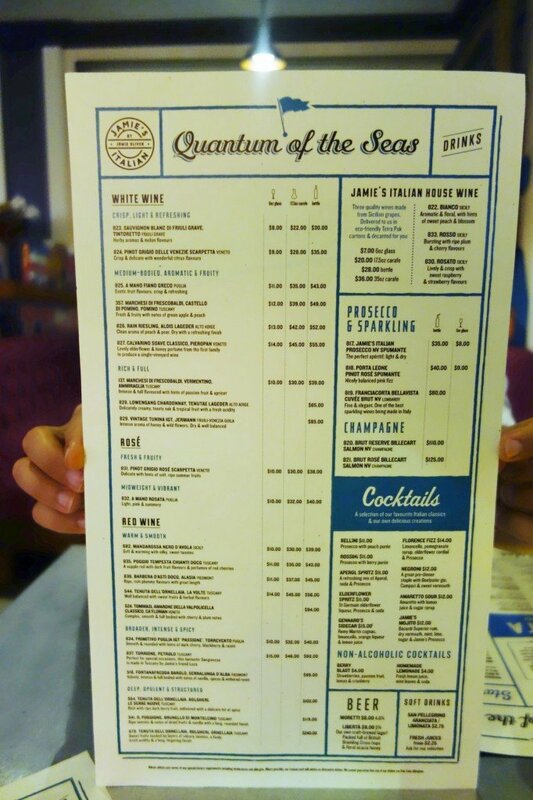 One of the stand out restaurants that are available on Royal Caribbean's Quantum of the Seas has to be Jamie's Italian. This simple yet tasty take on Italian food by British celebrity chef Jamie Oliver brings a whole different Italian restaurant experience to Royal Caribbean. 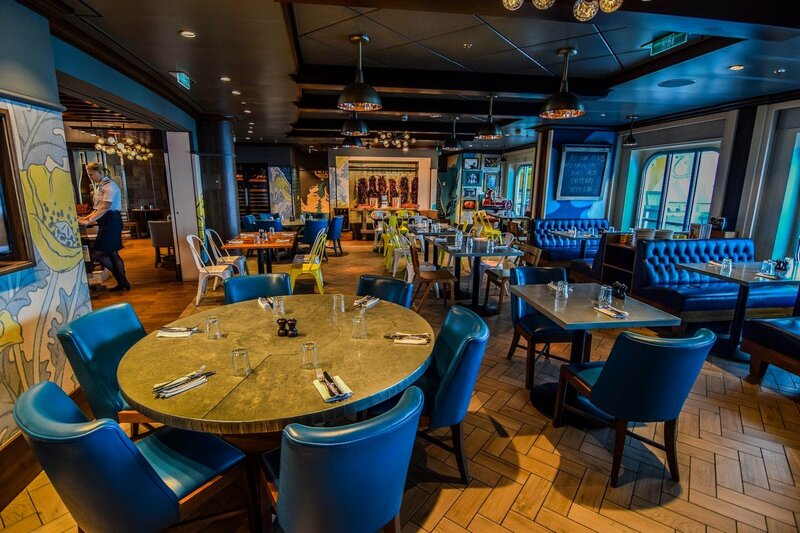 We're excited to share with you what Jamie's Italian offers and if you should give it a try on your cruise as well. Jamie's Italian is located in the Via section of the Royal Esplanade, close to Two70. As you walk towards the restaurant, you will find an open air eatery that reminds you of a city sidewalk restaurant. 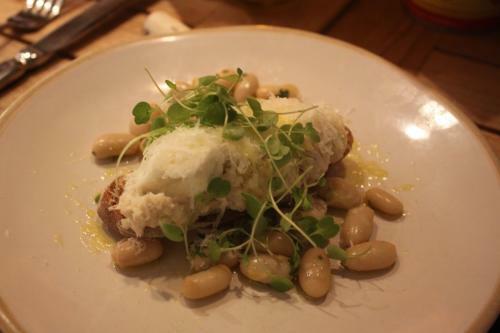 Once inside Jamie's Italian, you will find a restaurant that is simple in its look. There's no traditional red and white checkerboard, Lady and the Tramp style tables either. There's also not a hint of the formal look you may find in other Royal Caribbean specialty restaurants like Chops Grille or Portofino. The tables and chairs are an assortment of different styles that almost look like the host called all of their friends to bring tables and chairs because the host did not have enough. I'm not celebrity chef expert, but I do know that Jamie Oliver, the restaurant's namesake, purposefully makes his restaurants and food simple. After a few minutes looking around, Jamie's Italian feels like you're eating in someone's (very large) kitchen. Tables are located all around the restaurant and the waiters are wearing simple white shirts with jeans. There are also televisions on the walls showing Jamie Oliver cooking his food and there's an eclectic mix of popular music that we are told Jamie himself listens to. Sitting down, you will find the restaurant feels very different than most other specialty restaurants. If not for Wonderland, Jamie's Italian would certainly be the most unconventional specialty restaurant I've ever dined at on a Royal Caribbean ship. The food at Jamie's Italian is quite obviously Italian but like the decor, it's not just spaghetti, pizza and other traditional fare. One of the neat things Jamie's Italian does is it makes all of its pasta by hand, each day. When our waiter told us that, I immediately reconsidered what I was going to order because hand-made pasta makes a big difference compared to the boxed stuff. When you walk into the restaurant, you will likely see many other tables enjoying food served off of a giant wooden plank and there's a good reason for it. Citing the famous cliche, when in Rome, do as the Romans do, we also ordered the plank. There are two to choose from: cured meats and seasonal vegetables. Regardless of which plank you order, the waiter will ask you how many people will be enjoying the plank. We told him two people and we wanted the cured meats plank. Soon thereafter, he came out with a generous sampling of meats and cheeses. There's fennel salami, pistachio mortadella, prosciutto & schiacciata picante. 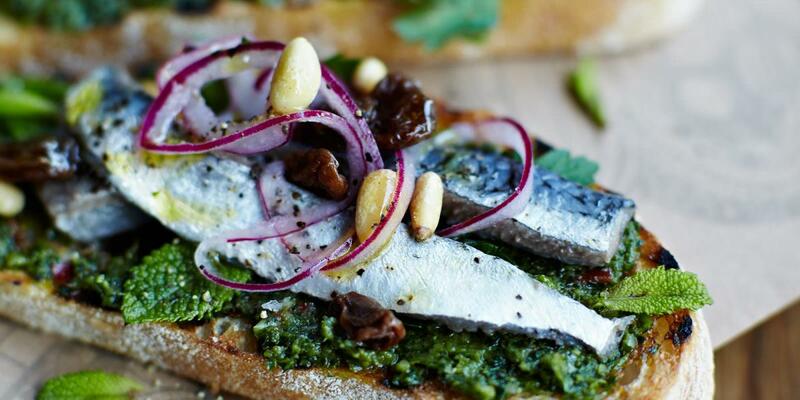 If antipasti is your thing, this will be heaven for you. I also sampled the arincini margherita, which are tomato & mozzarella risotto rice balls with arrabbiata sauce & Parmesan. Of all the appetizers I sampled, this was my favorite. I loved the texture and the sauce it was served on top of had a bit of kick to it. My table mates really liked the mushroom flatbread, which was definitely not pizza. 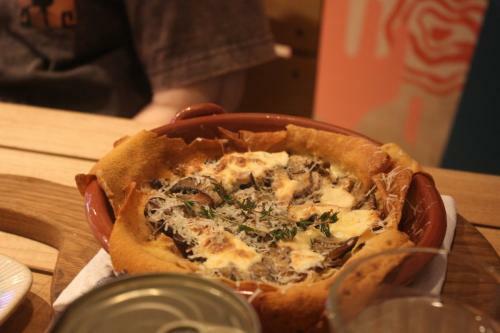 A mixture of fresh mushrooms and sprinkled cheese on top of a thin breading made for a great choice. We realized about now that the appetizers alone were really, really good. 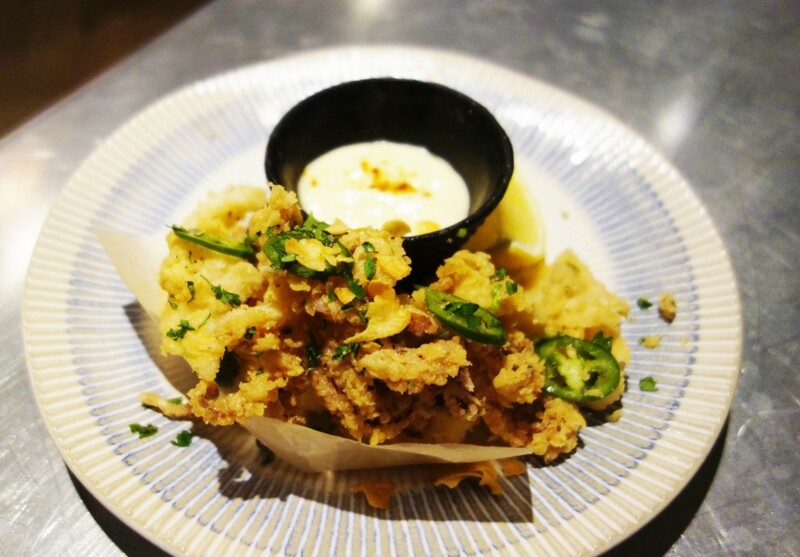 The crispy squid was exactly as the name implies. My friend was the squid fan and reported it was quite good and definitely not chewy. Perhaps the only disappointment of the meal was the Tuscan bean & single estate Italian olive oil bruschetta. Ordinarilly, I love bruschetta but this was quite different than any bruschetta I've ever had. It was cheesy (and not in a good way) and after one bite each, we all went back to our favorites. 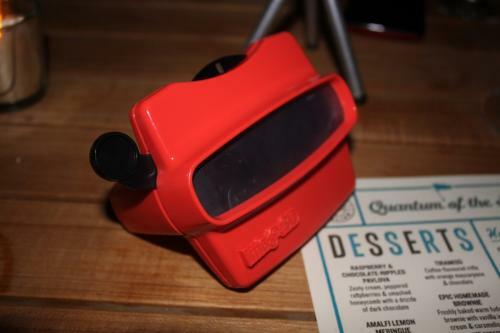 A quick side note, I noticed on other tables in the restaurant there were View Finders and asked our waiter why we did not get one. He informed me it was for children to see what the food they are going to order looks like. I kindly requested I too get a chance to see our food in faux 3D, 1980's glory and I recommend asking for one too just for the fun of it! Moving onto the entrees, once I figured out what aubergine meant (it's another name for eggplant), I ordered the aubergine parmigana. 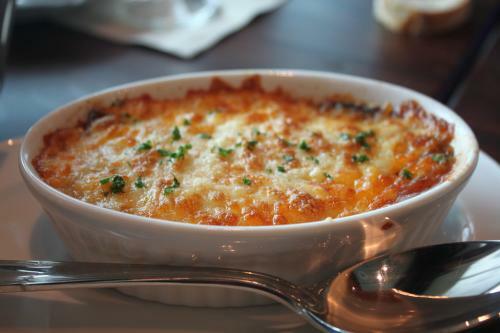 It's essentially a stack of baked eggplant slices in a warm pool of tomato sauce topped with cheese. 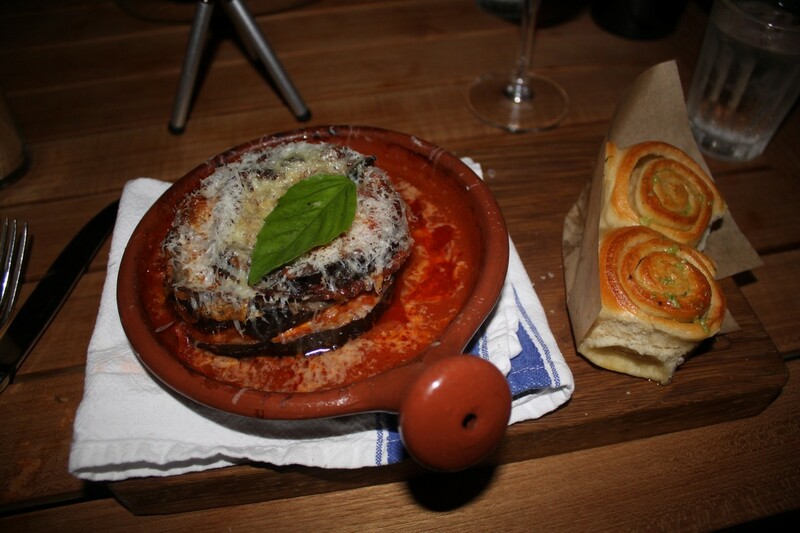 Eggplant parmigana is an Italian food classic and I enjoyed it quite a bit. Was it better than the eggplant parm from Giovanni's Table? I'm not ready to go that far. It is worth noting the freshly baked twisted garlic bread is really, really good and I recommend ordering an entire order of these just for your table to enjoy (or hoard them for yourself while giggling how good they are). Earlier I had honed in on the fact their pasta was hand-made, so I ordered the penne pomodoro. 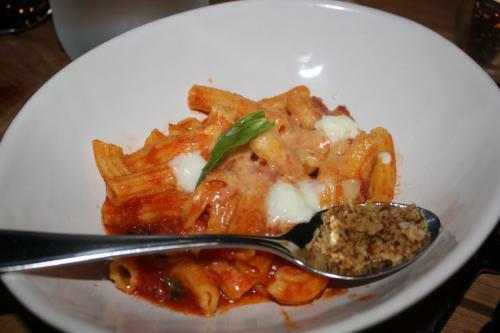 To most people, this is penne in a red sauce but again, the fresh pasta makes even a simple dish like this stand out. The baked lasagna was a real treat as well, with the blend of fresh pasta (notice a trend yet? ), mozzarella and Parmesan cheeses and beef and pork. 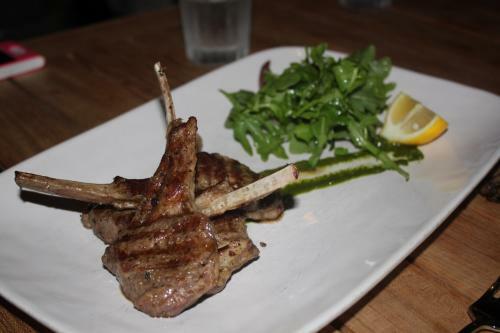 I'm no connoisseur of lamb but the lamb chops were also quite good. By now, we had been through a food war but our waiter insisted we try the desert. Who am I to argue with a man in jeans? There's a number of intriguing selections on the dessert menu but the one that caught my eye was the epic homemade brownie. I mean, who can resist that kind of a title? I can report that there is no case of false advertising here. The epic homemade brownie was terrific. What makes it epic? 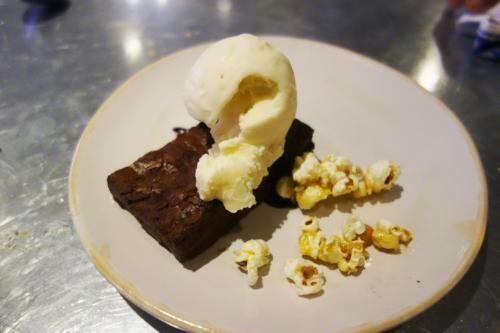 There's a freshly baked warm fudgy brownie with vanilla ice cream and caramelized amartetti popcorn on top. Yup, epic. We had eaten at Jamie's Italian towards the end of my cruise and all throughout the voyage, other passengers had always mentioned how good Jamie's Italian was whenever the topic of dinners came up and now I know why. 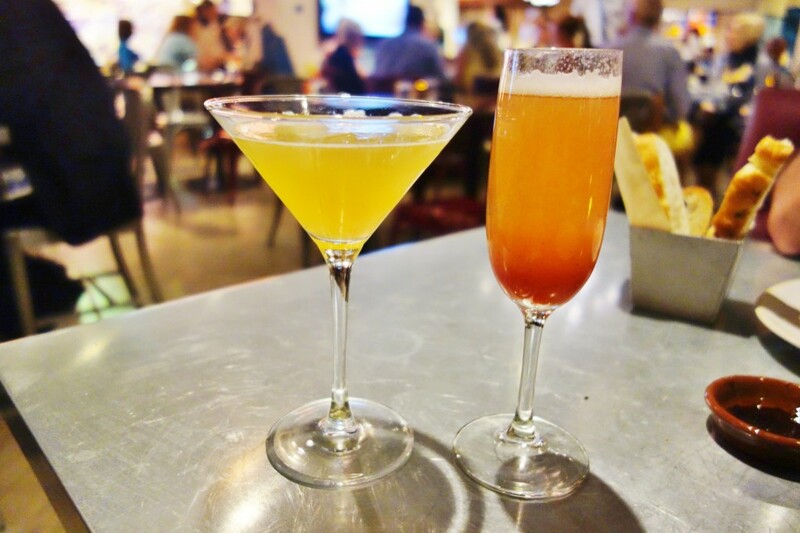 Jamie's Italian offers a great selection of Italian food that differentiates itself from most other food available on Quantum of the Seas. It's an interesting "reboot" of what we think about when it comes to Italian food. Nearly everything we offered was very good. 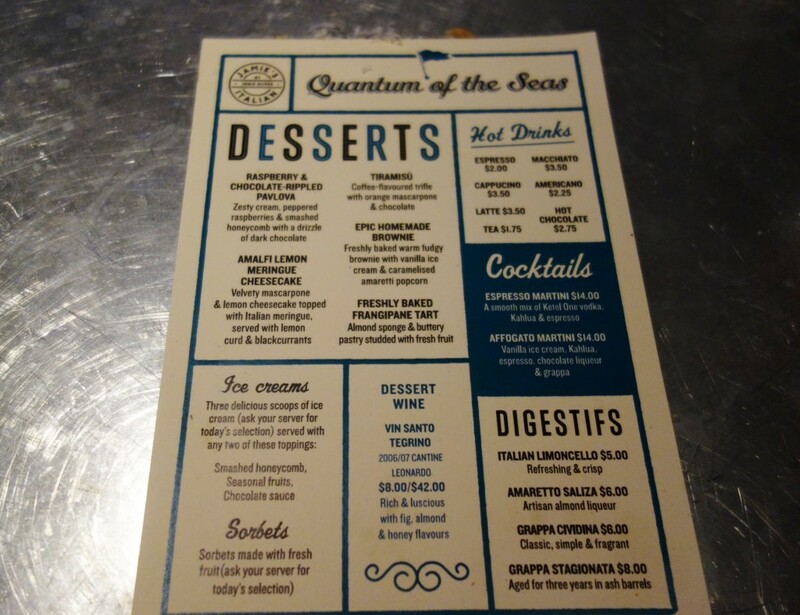 In fact, I think of all the restaurants onboard Quantum of the Seas, Jamie's Italian had the best ratio of hits to misses, in terms of good food to bad food picks. I was lucky to have dined with a group of friends because the food here is perfect for sharing and it gives everyone a chance to sample a little of everything. Like most Royal Caribbean restaurants, I found the portion sizes to be on the small size, which makes ordering multiple entrees (and appetizers earlier) an easier decision. Check out this wonderful review by our good friends Don & Heidi from EatSleepCruise! 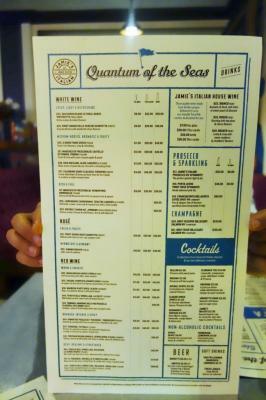 They had the chance to check out Jamie's Italian on Quantum of the Seas and I can't wait to try it myself. Enjoy! Quantum of the Seas has a variety of specialty restaurant options that cannot be found on other ships. On the last night of our 8 night sailing, we had pre-booked reservations to try one of these new establishments, Jamie’s Italian. 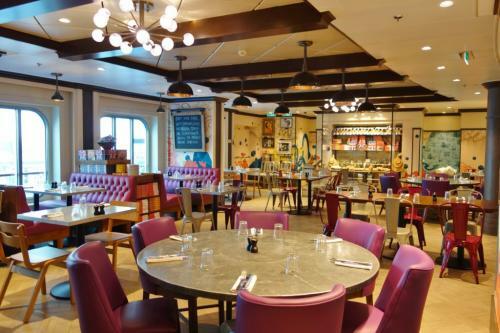 Created by celebrity chef Jamie Oliver, this restaurant offers modern, Italian cuisine in a funky, casual atmosphere. 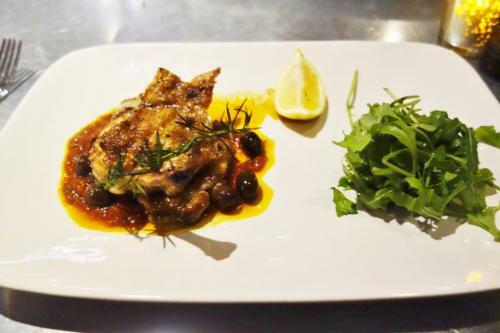 The restaurant is a slight departure from other specialty Italian restaurants found on Royal Caribbean ships, including the family-style Giovanni’s Table and the slightly more upscale Portofino’s. Still, Jamie’s Italian, which is open for lunch and dinner, served some amazingly fresh food that was worth the modest upcharge. Located on Deck 5, Jamie’s Italian restaurant is a very welcoming space, nestled in the Via next to the beautiful Waves of Light Sculpture. Jamie’s Italian offers an up close view of this artwork with some “al fresco” style seats that are open to the area. While we did not dine in this area, many cruisers who choose to eat at Jamie’s Italian do opt for these tables that offer amazing views of the Via and plenty of people watching. Inside Jamie’s, you feel as though you have entered a very modern kitchen. Similar to something you would expect from a restaurant in a major metropolitan area, the décor in Jamie’s Italian is a mix-match of colors and textures. 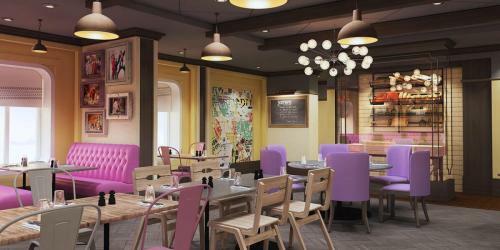 Doses of bright, vibrant colors and different shaped furniture give the restaurant a casual, yet contemporary feel. Plenty of Jamie Oliver’s cook books are on display and televisions throughout the venue regularly show segments form the chef’s television appearances. Neither of these decorative elements are distractions as they blend well into the overall restaurant layout and theming. Ambiance aside, the main star of this restaurant is the food. 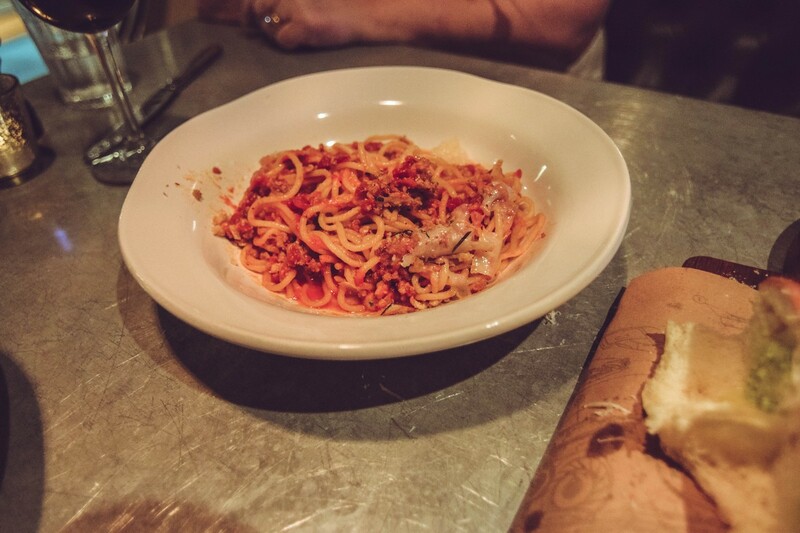 With a menu that features a mix of warm and cold starters including the signature planks, pasta dishes, and meat based entrees, there is certainly something for everyone here. Given that we were here on the last night of our 8 night cruise, we had already sampled a vast array of great dishes at the four complimentary restaurants as well as a few of the other specialty restaurants. Still, we made it a point to sample as much of the cuisine as we could reasonably fit into our already expanding waistlines. Our waiter was from Northern Italy and was very friendly and knowledgeable about the menu. Many of his recommendations were right on point, and we were glad we listened to him. Overall, the service was excellent, and the staff was very attentive. We started dinner off with a few of the signature cocktails on the menu. I tried the Gennaro’s Sidecar, as I am a fan of sidecars to begin with, and the wife opted for the Rossini, a bubbly and fruity cocktail that was sweet enough for her tastes. 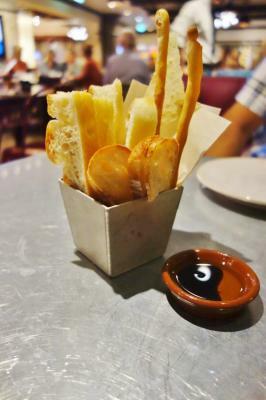 Before we even had a chance to examine the dinner menu, the waiter brought over a basket of bread which offered a nice selection, including crusty Italian bread, focaccia, and bread-sticks, served with an olive oil and balsamic vinegar dipping sauce. 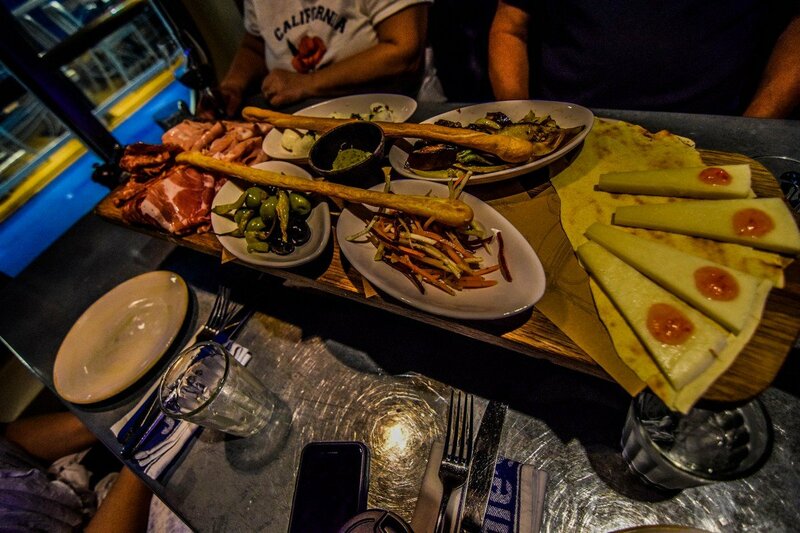 We were debating whether we should order one of the planks, as many of the tables around us had them and they looked unbelievable, but instead we decided to try out some of the warm appetizers. Growing up in Rhode Island, one of my favorite starters is fried calamari. Although, it is one dish I have never had on a cruise ship. I was pleasantly surprised when the waiter brought out a generous portion of light, crispy squid cooked to perfection, definitely fresh and made to order. Honestly, it was some of the best calamari I have ever had on land or sea. The wife opted for a different starter as she is not much of a seafood fan. 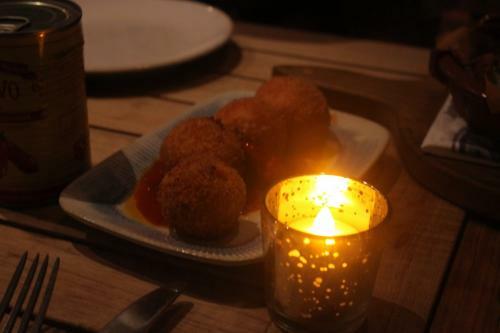 She tried the Arancini Margherita, which are deep fried risotto balls with mozzarella. They came covered in tomato sauce. Even though the order only came with three, I was forced to eat one of them, with which I gladly complied. 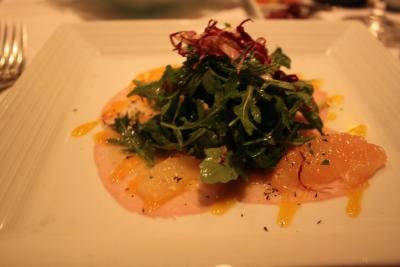 Similar to the calamari, this was a classic Italian-American starter that was made just right. The appetizers were plenty filling, but there were still so many dishes left to try. On the recommendation from our waiter, we decided to order a pasta dish to split along with our entrees. 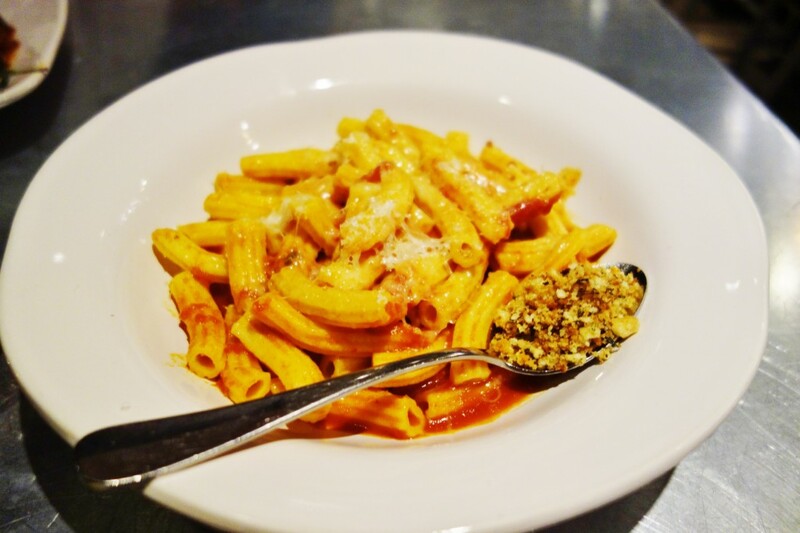 Our selection was the Penne Pomodoro, which came with a light sauce and was just the right amount for us to each have a taste of this homemade pasta as a side dish to our main course. The wife, who is a picky eater, went with the only chicken dish on the menu, the Chicken Al Mattone, grilled chicken seasoned with garlic and rosemary. It was not exactly what she was expecting as the cut of chicken was not all white meat, included a bone, and was topped with a glaze that was a bit greasy. On the other hand, I ordered the Lamb Chops Scottadito, which was definitely the best lamb I had all cruise. It was a good serving size and had a nice grilled flavor. The dish was not necessarily what I think of when I think Italian food, but I am very glad I ordered it. To add to the gluttony, our waiter also brought out some polenta chips. These were more like home fries, nicely textured and topped with rich Parmesan cheese. Not the healthiest side dish, but definitely a great addition to any dinner. 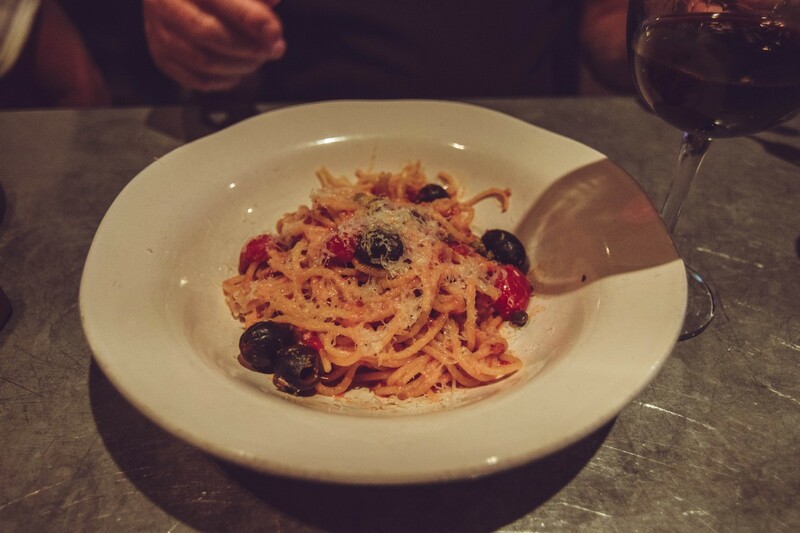 When I think about Italian food, besides pasta, dessert is the next thing that comes to mind. But, Jamie’s Italian actually does not have many traditional Italian desserts. So, we decided to order the tiramisu and the Epic Homemade Brownie. Of course, slightly melted vanilla ice cream paired perfectly with a warm brownie is always a good option. On the other hand, we were warned by our waiter about the tiramisu, and he was right. It had a different texture than expected and an orange flavor. It was definitely a departure from the classic Italian treat. 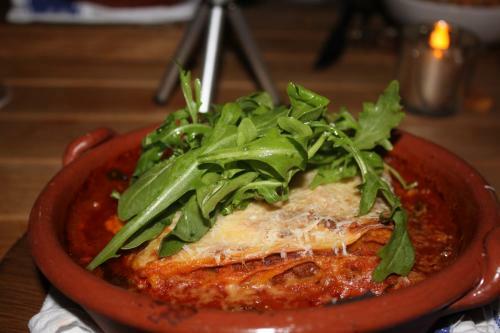 Jamie’s Italian offers some great Italian classics with modern twists in a lively environment. The starters were authentic, and the homemade pasta was rich and delicious. 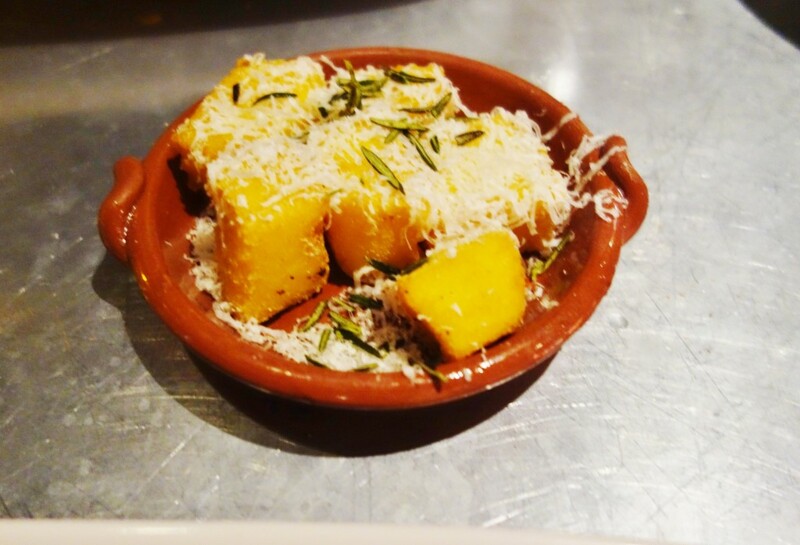 The entrees were solid, and the side dish of polenta chips was an amazing accompaniment. While the dessert was a little disappointing, we should have listened to our waiter’s suggestion and tried something other than the tiramisu. The service at Jamie’s was among the best service we received all week on the ship. 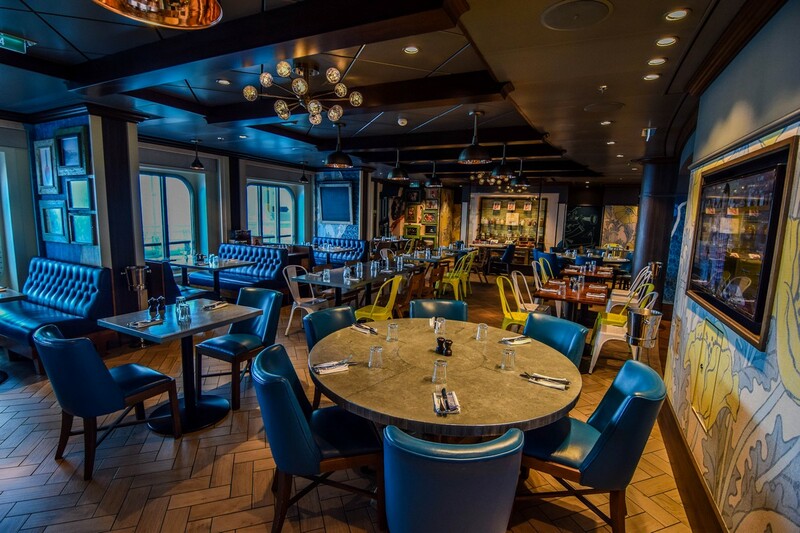 On our next sailing on Anthem of the Seas, we have reservations at Jamie’s Italian and will definitely make sure to sample more of the menu. 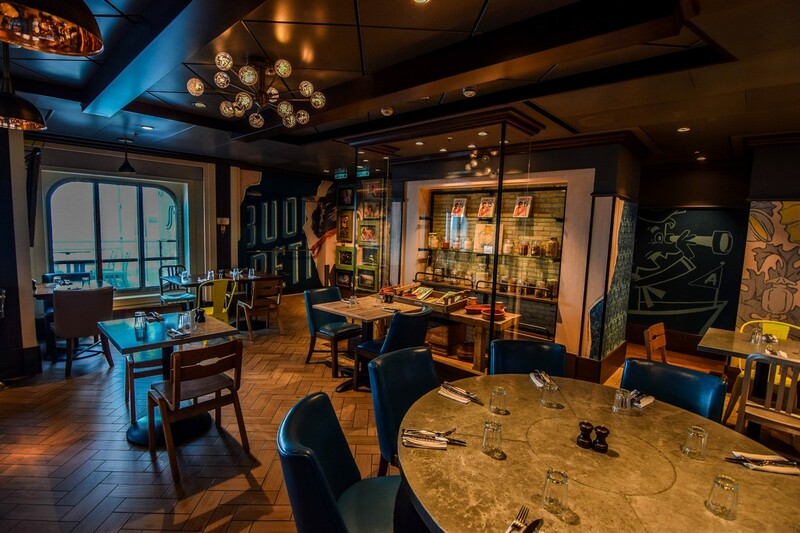 Jamie’s Italian can be found on the Quantum of the Seas and the Anthem of the Seas and offers Rustic, Italian food with a casual dress code. There is an upcharge of $15 for lunch and $25 for dinner. Reservations can be made prior to cruising on the Cruise Planner or while onboard. Royal Caribbean has been offering Italian food for years on its cruise ships and in recent years, has been changing its Italian food offerings up in recent years. So today we're going to compare the various Italian restauants Royal Caribbean serves up and see which one comes out on top! 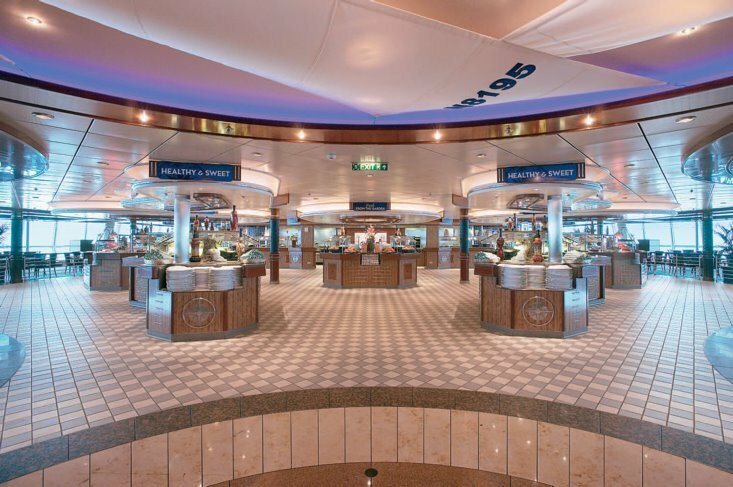 Royal Caribbean's reigning Italian food champ, Portofino, has been available on many ships across Royal Caribbean's fleet for many years. 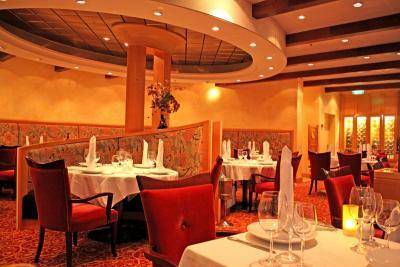 The food at Portofino is based on Northern Italian cuisine and offers traditional Italian pasta, fish and meats. What Portofino does well is mixing traditional Italian favorites with modern style. You can get a plate of pasta in a tomato sauce or go with the Saltimbocca alla Romana. 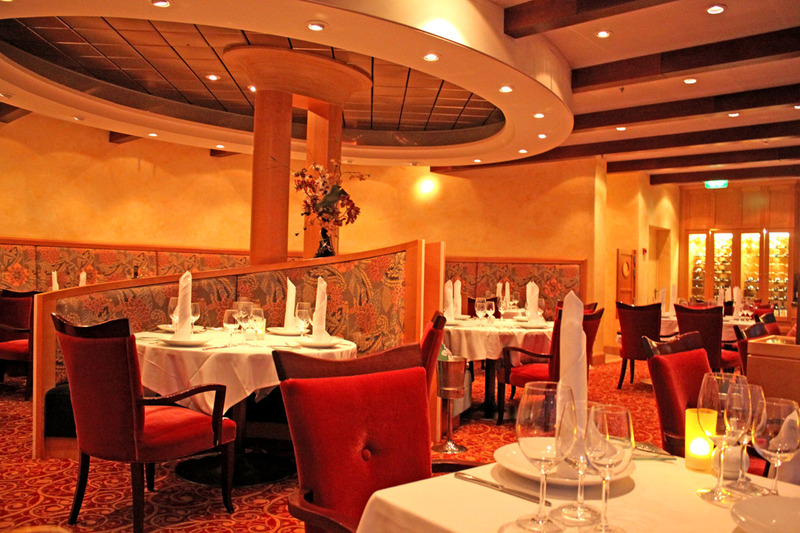 Sadly, Royal Caribbean is in the process of phasing out Portofino in favor of some of the other Italian restaurants we will be discussing in this post but it remains the stalwart of Italian food on many Royal Caribbean ships. We think of Portofino as the veteran champ that has been around for a while but still has what it takes to comepete. Giovanni's Table is the up-start "new kid on the block" that offers traditional Italian fare, family style. Royal Caribbean describes Giovanni's Table as, "an Italian Trattoria influenced by the Tuscan countryside". Whereas Portofino offers a mix of new and old, Giovanni's Table mostly sticks with tried and true Italian dishes. Eggplant parmigiana, lasagna, meat balls and more are available. 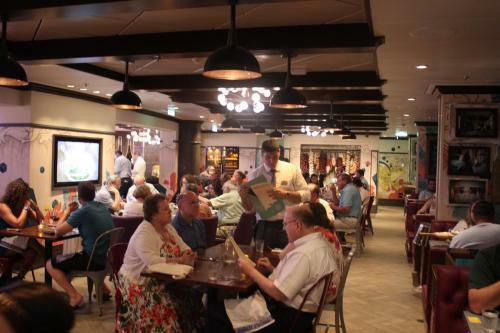 Having first debuted on Oasis of the Seas, Giovanni's Table has been spreading to other Royal Caribbean ships with each new ship revitalization and stands to be the new standard by which Royal Caribbean serves up Italian food. Giovanni's Table is the up-start that is making a name for itself but hasn't "won it all" quite yet. The "new kid on the block" is the newly announced Jamie's Italian, which is coming to Quantum of the Seas and Anthem of the Seas. 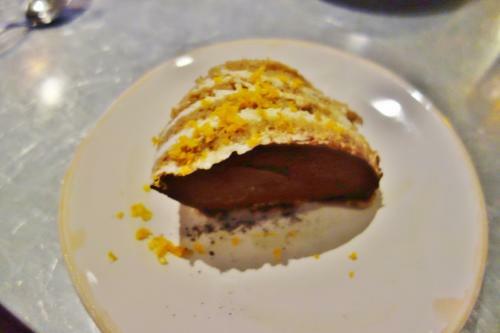 The restaurant is the product of celebrity Chef Jamie Oliver, a famous cook from England. Royal Caribbean promises you’ll enjoy rustic dishes, handmade using seasonal ingredients, and authentic recipes that are tried and tested crowd-pleasers. 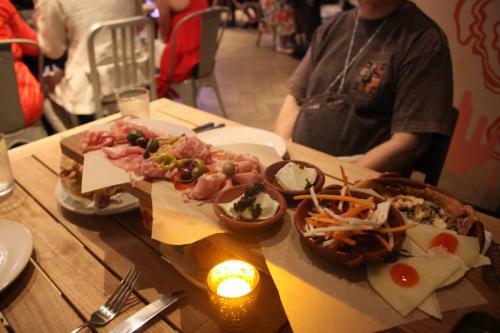 The menu is comprised of Jamie’s Italian Famous Plank piled high with cured meats, pickles and tempting cheeses. From there, try delicious pastas made in-house everyday—like indulgent pumpkin panzerotti and zingy prawn linguine to name a few. 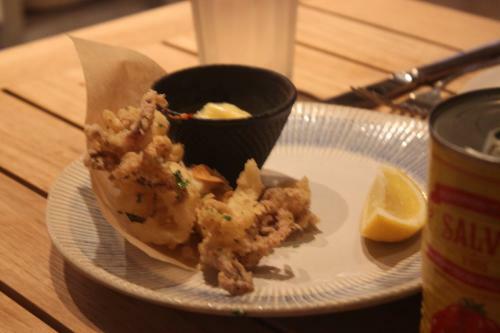 We had a chance to sample a number of the dishes that will be available at Jamie's Italian at the recent Quantum of the Seas dining reveal event in New York and it's clear this Italian restaurant will focus on completely rewriting the book (or menu) on what you think of when it comes to Italian food. 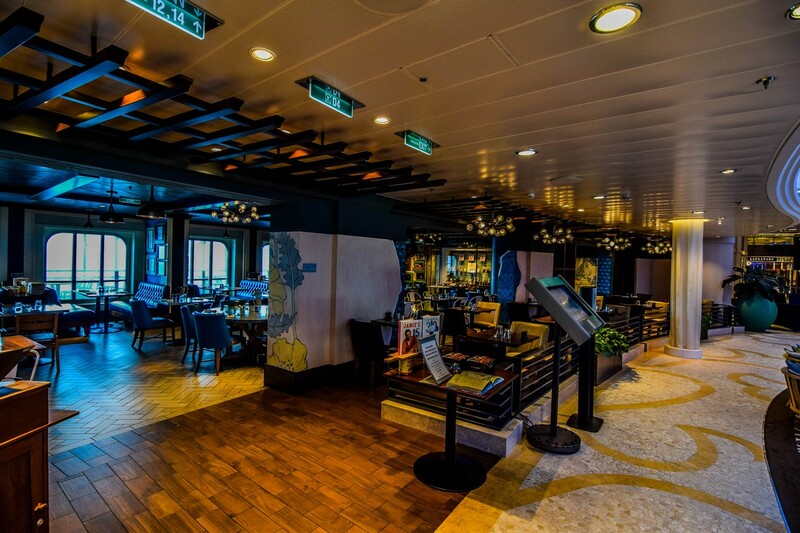 For Italian food on Royal Caribbean ships, Jamie's Italian is like the "dark horse" that could tip the balance in what guests look for on at dinner. Sometimes you just want to enjoy simple Italian food with as much red or white sauce as your plate can handle. Or maybe you prefer very little sauce. 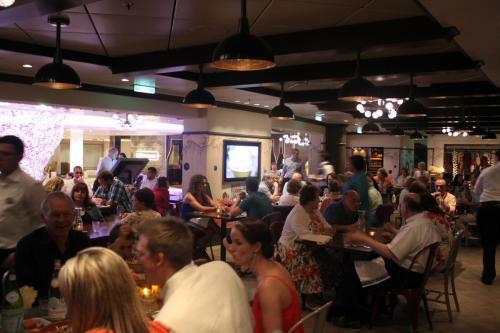 Whatever your preference, the Windjammer serves up an assortment of Italian food throughout the day at our leisure. 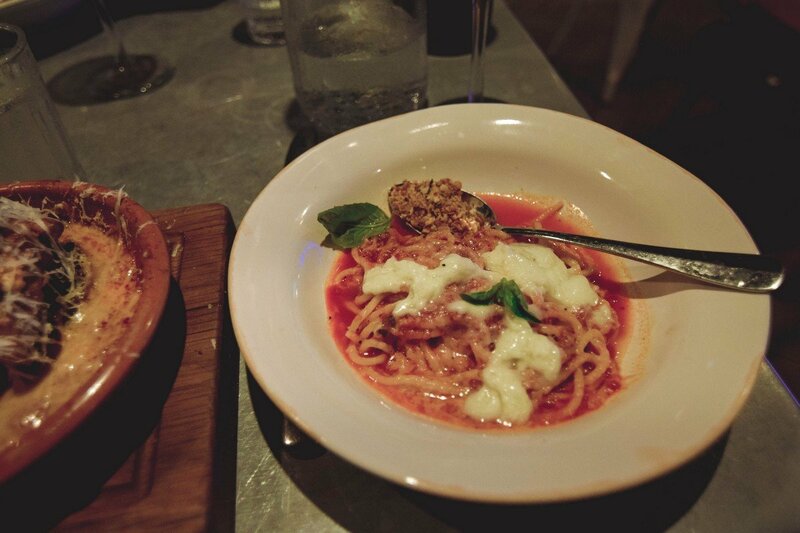 There's something to be said about a plate of pasta with sauce combined with unlimited refills. And of course you can always grab a burger, salad and sushi to put on your plate too. 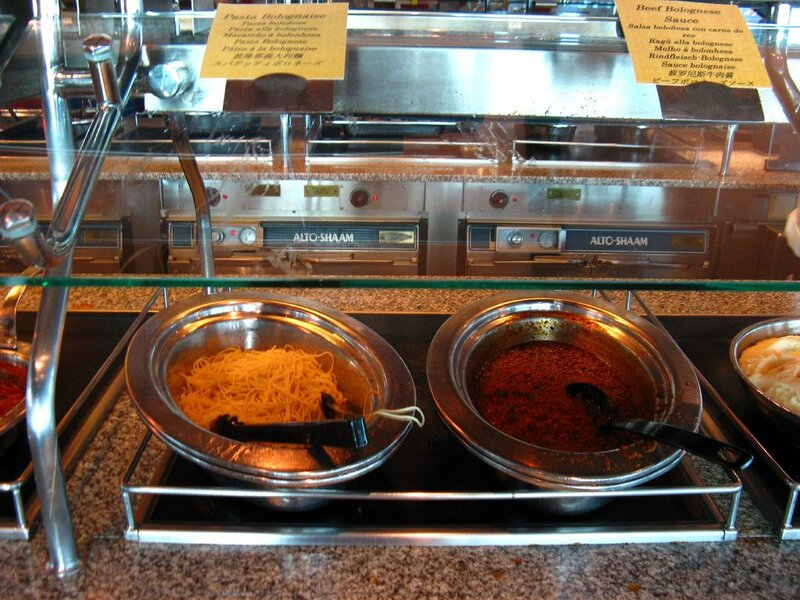 The Italian choices in the Windjammer vary daily but there's almost always a pasta dish or two and other traditional Italian dishes here and there. The Windjammer is a crowd favorite for its simplicity and mass-appeal. 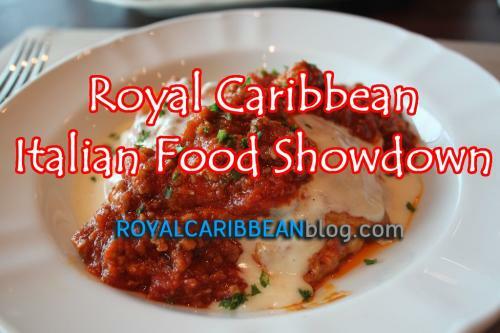 Which Royal Caribbean Italian restaurant has your vote for the crown? It's a tough choice so share your vote in the comments for this post and choose wisely!